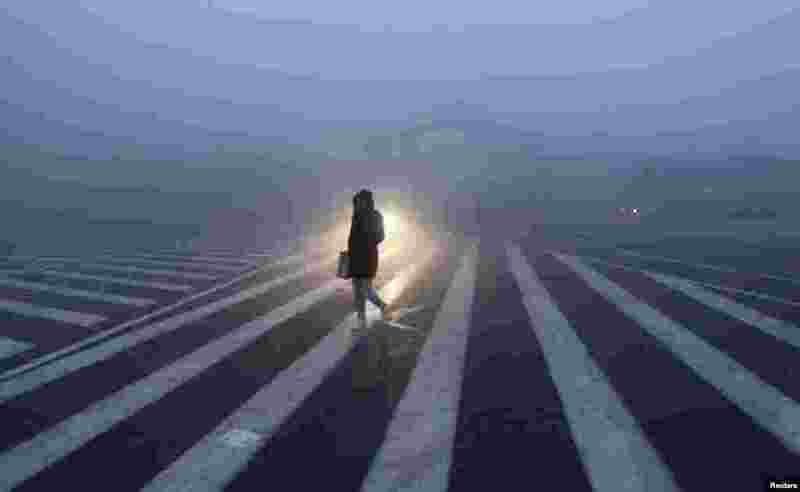 ۱ A woman walks along a street during a smoggy day in Changchun, Jilin province. The severe smog continued to shroud major cities in north-east China including Changchun. 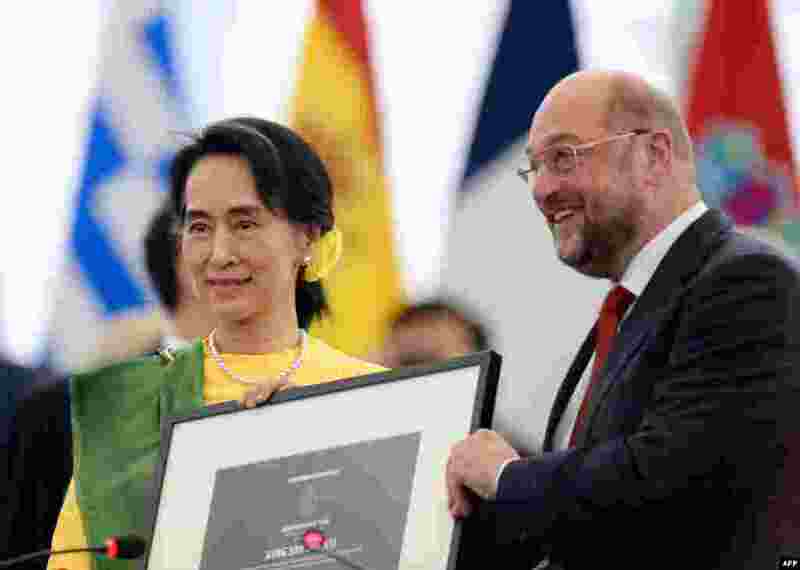 ۲ Burma's opposition leader Aung San Suu Kyi poses with the President of the European Parliament Martin Schulz at the European Parliament in Strasbourg, eastern France, after she received the Sakharov human rights prize, she won in 1990 at the height of the Burmese military crackdown. 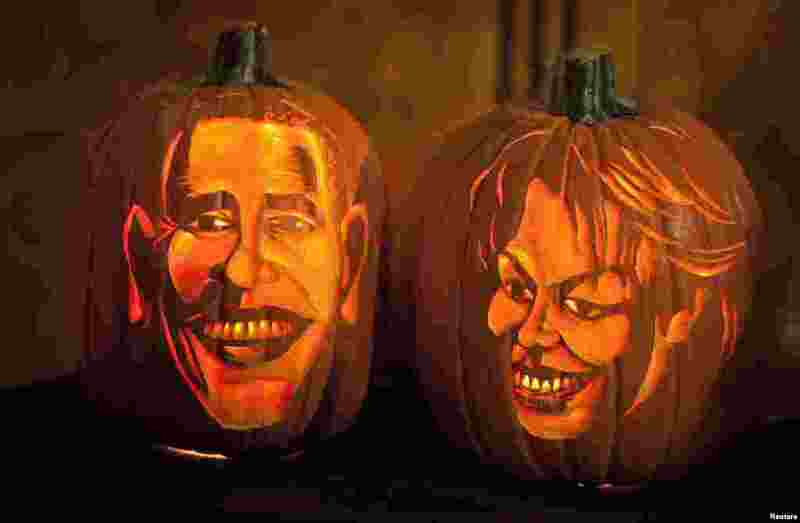 ۳ Pumpkins carved in the likeness of U.S. President Barack Obama and First Lady Michelle Obama are lit at Madame Tussauds in New York. 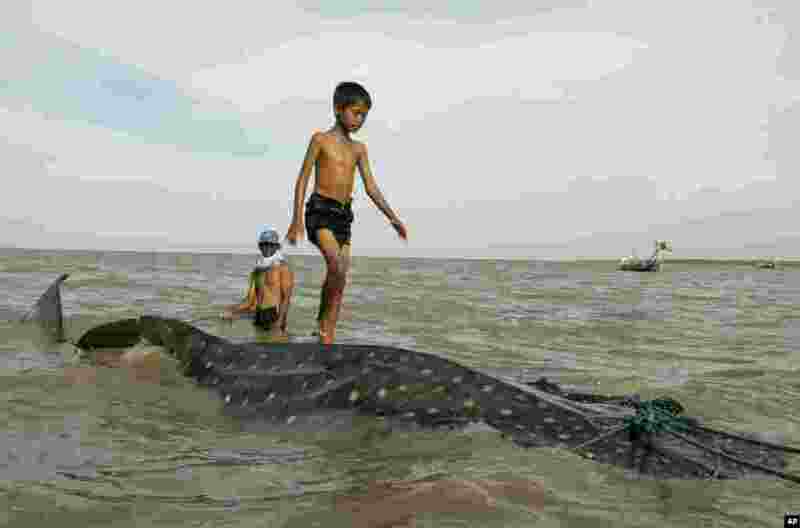 ۴ An Indonesian youth walks on the back of a beached whale shark as fishermen prepare to pull it back to the sea at Kenjeran beach in Surabaya, East Java, Indonesia. 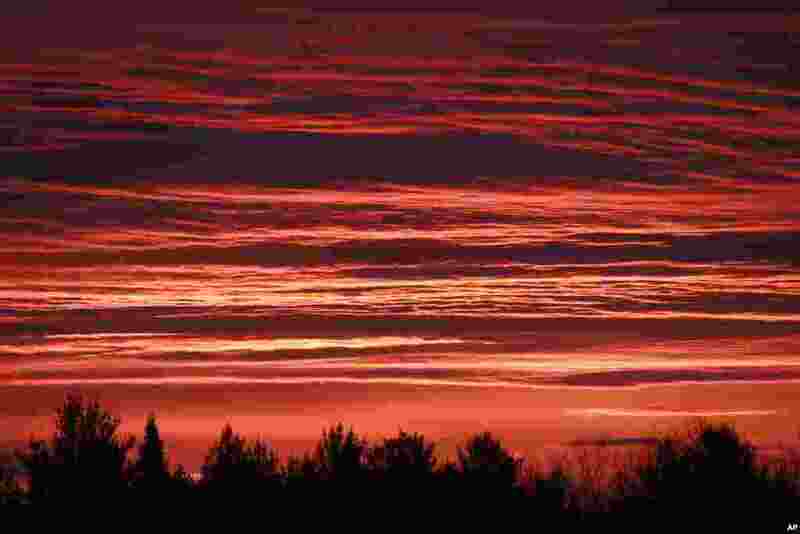 ۵ The sunrise colors the sky above Calais, Vermont, USA. 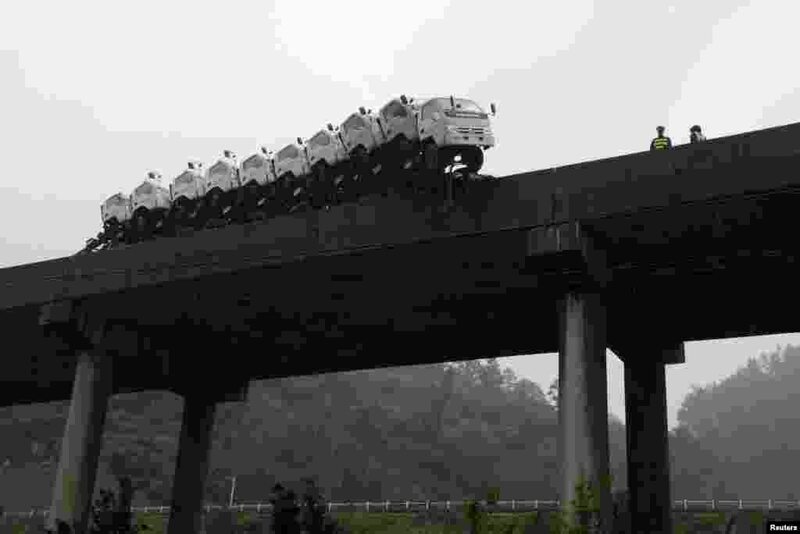 ۶ A trailer loaded with trucks hangs on the edge of the guardrail on a bridge in Kaili, Guizhou province, China, Oct. 21, 2013. According to local media, the trailer hanged on the edge of the bridge after the driver lost control of the vehicle. No injury was reported. 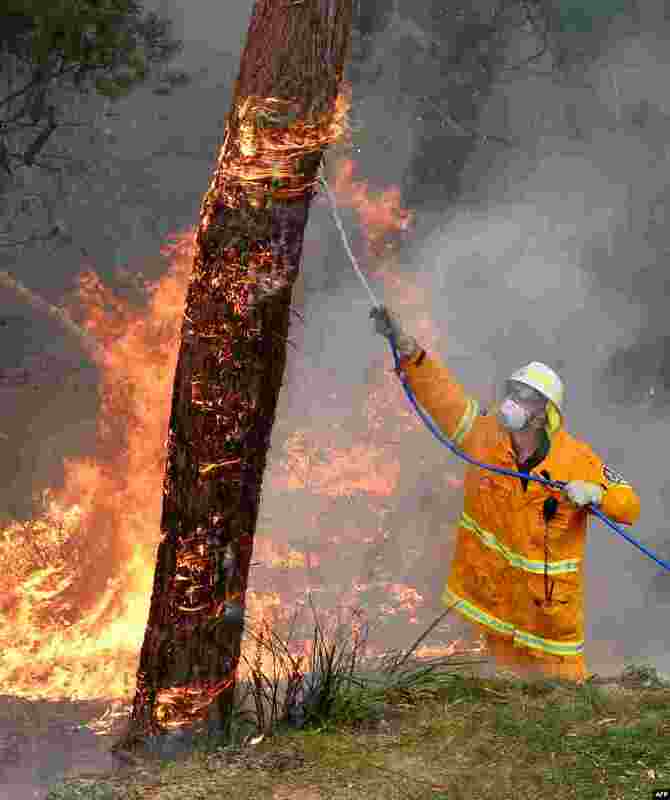 ۷ A firefighter contains fires from a resident's backyard at Faulconbridge in the Blue Mountains, Australia. 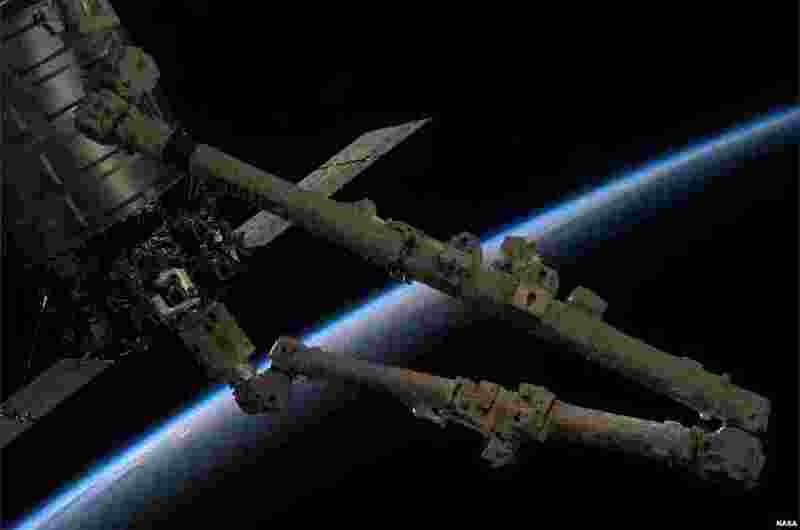 ۸ Expedition 37 crew members aboard the International Space Station release Orbital Sciences' Cygnus spacecraft from the station's robotic arm.